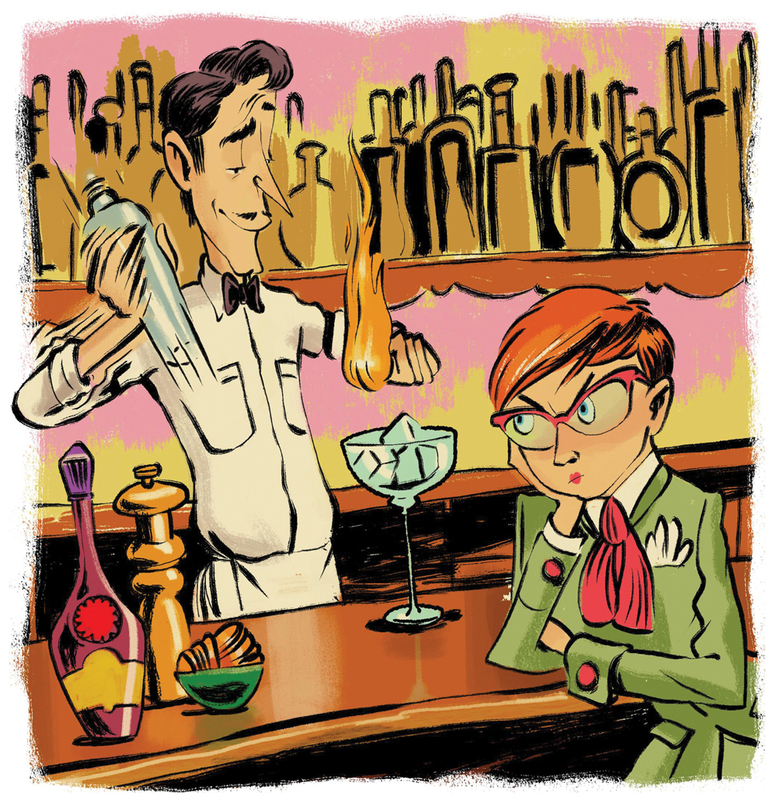 I worry the classic Manhattan cocktail is going the way of the martini: another opportunity for barkeeps to futz around with annoying techniques and show-offish ingredients. A two-to-one mix of rye whiskey and sweet vermouth, a Manhattan should be stirred tenderly with a dash of Angostura bitters, poured in a V-shaped stemmed glass, and garnished with a Luxardo maraschino cherry. A Manhattan cannot be made with bourbon, a flamed orange, a twist of pepper, Bénédictine, or brandy. A Manhattan cannot be bottled or made in large batches ahead of time. Do not age it in a barrel, shake it when it should be stirred, or serve it over ice. Manhattans can, however, vary greatly in color, depending on how a bartender defines and measures a dash. Bartenders I trust: Miles Macquarrie of Kimball House; Cole Younger Just of the Cockentrice; the crew at the Pinewood; and Chris Reid, the beverage director of the new Steak 101. The rest of you could learn a thing or two. In previous decades, chefs had to be Japanese if they wanted customers to take their sushi seriously. They had to come from the old country to serve credible fresh pasta or Neapolitan pizza. They had to be born in Spain to attempt paella. Today this attitude seems quaint in an era when scholarly approach trumps birthright. Just look around. Michael Patrick, an American, cooks like a nonna with an advanced degree in food history at Storico Fresco. Bruce Logue, also born in the U.S., channels the spirit of Italy while innovating with New World ingredients at BoccaLupo. Hector Santiago, the Puerto Rican chef at El Super Pan in Ponce City Market, makes the city’s finest paella (it’s a special). 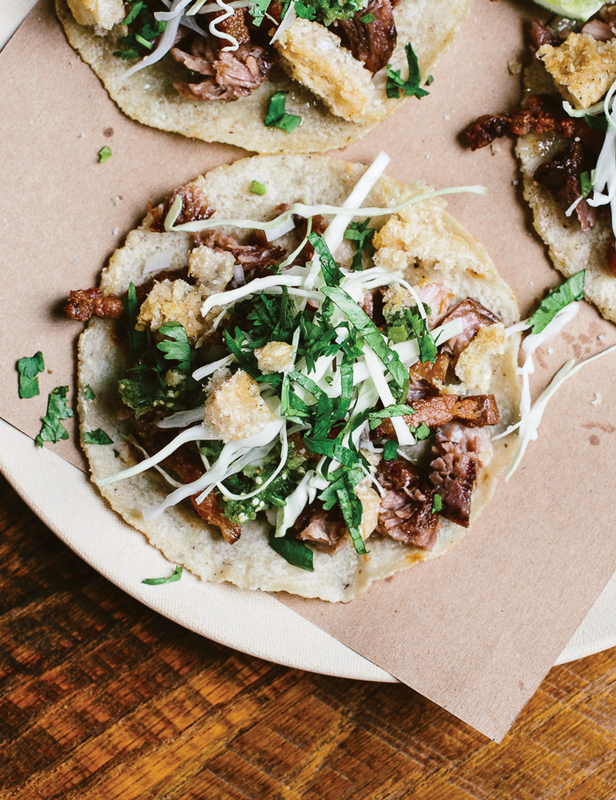 Sean Brock serves perfect, handmade corn tortillas at Minero. Guy Wong (Miso Izakaya, Le Fat, Ton Ton) easily borrows from Chinese, Japanese, and Vietnamese cuisines without lapsing into dated fusion. Chefs of any background can succeed, so long as they do the homework, dig deep into the culture, and steer clear of cliches. My favorite alternative to King of Pops? Mexican paletas, which are particularly cheap and creamy at PanPaleta in the Northeast Plaza at the corner of Buford Highway and Briarwood Road. Fans of David Sweeney’s extraordinary vegetarian (sometimes vegan) cooking should be driving in droves to Tiger Mountain Vineyards in North Georgia, where the former owner of Dynamic Dish has taken up residence in the winery’s restaurant, Red Barn Cafe. His stint ends October 31. Anybody tried Salers yet? This new French aperitif is a delightfully herbal, slightly bitter gentiane liqueur served over ice or mixed into a blond Negroni. This article originally appeared in our October 2016 issue.